This video is taken in Malaysia. 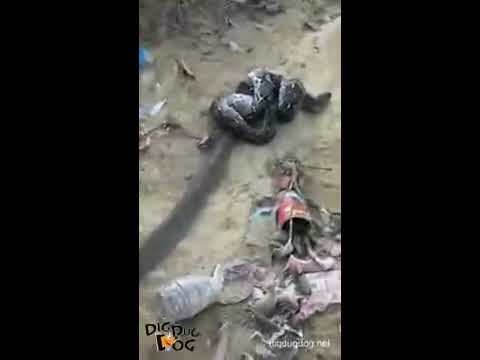 A farmer saw a king cobra fighting with a python. He was shouting "Let it go" and trying to separate them but it doesn't work. King Corbas are snake eaters, but isn't this python is too big as food for him? Looks like the python the managed to get coils around the king and probably broke its neck. Both snakes dead in the end.